WOW! That is about the best word I can begin with when I want to start telling you all about the Austria Tour 2005. The hospitality, the level of professionalism, the organization, the response of the crowds, the people we had the opportunity to meet, and the performers we entertained with, were just so wonderful. I have to thank so many people for making this tour a fantastic memory for my family, The Sunset Pioneers, and myself. 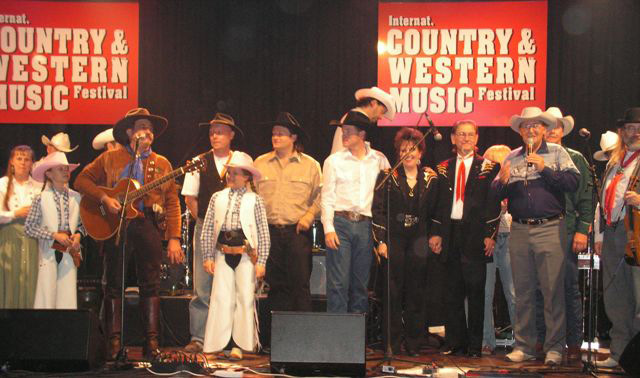 First of all, the promoter of the event, which included The Country & Western Festival, the European Country Music Awards, and the European Line Dance Awards, was Walter Nevada. Now Walter has earned himself a new identity in Austria. He is now known as “The Famous Cowboy Sheriff Walter Nevada”, but I have the honor to call him my good friend. Walter, his beautiful wife Inge and lovely daughter Bridget, went out of their way to make all the performers welcome beyond what I thought was possible. They were our tour guides through Vienna as well. I’ll never forget your kindness. 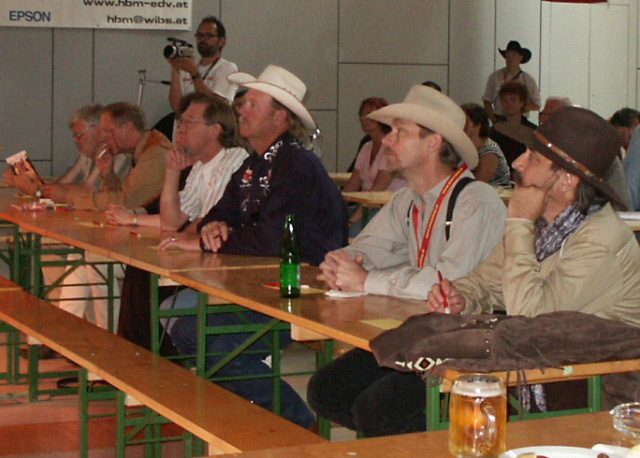 The festival was held at Messe Wieselburg. It is an absolutely fantastic facility. 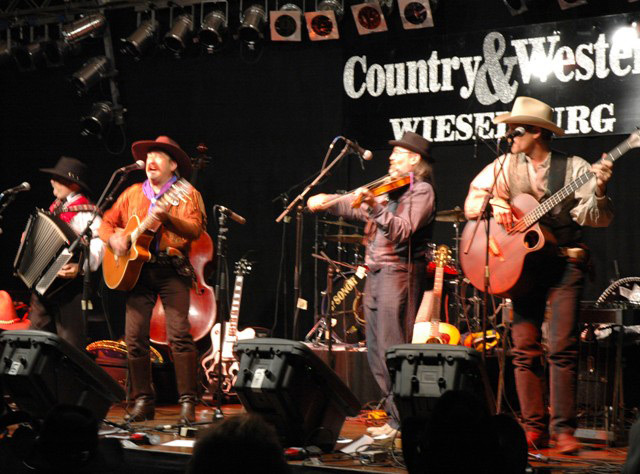 www.messewieselburg.at. But, what made the facility really great, was the unbelievable staff. The production crew that was hired for the sound and lighting on all stages has to be commended for their tireless effort to make us all sound and look good. I don’t think there is any job around that is more thankless than production work, but this crew rose above and beyond the call of duty. Thanks to Rudy, Thomas, and their crew for all your behind the scenes work. 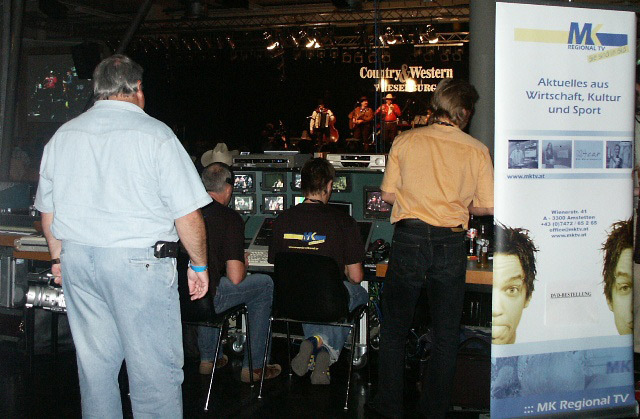 The entire festival was filmed for a DVD release by Max Wirth from Mostvietel Kanal TV. They are supposed to have it ready soon, so keep checking back with us or their web site. 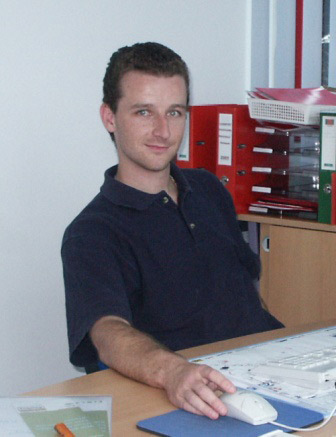 Whiskey Franz, who is a web site marketer, was a wonderful friend indeed. Franz and his wife, were always there to meet any need that arose. I had a digital camera incident which left me without the opportunity to capture the great moments of the tour, and within an hour they had left the event and came back with the problem solved. One of our highlights, was the accommodations we had on the Austria Tour 2005. 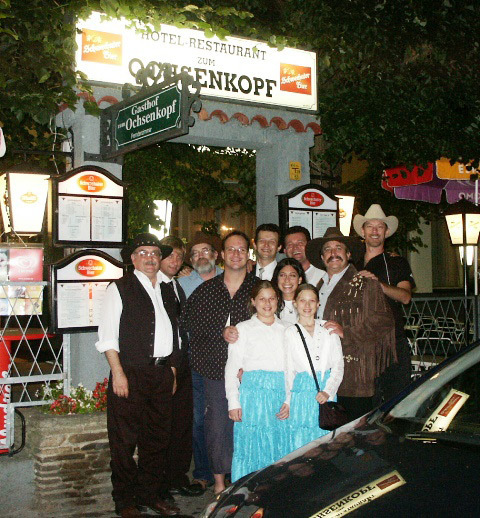 When we were in Vienna, before and after the festival in Wieselburg, we stayed at a great hotel-restaurant, Zum Ochsenkopf. We could not have been treated more special than we were there. The accommodations were top notch and the cuisine was superb! The inn backed up to the Vienna Woods, so the scenery was wonderful and it was great to go for a walk out in the famous Vienna Woods. It was hunting season while we were there and the owner, Chris Konrad, had the chef cook up some wild boar and deer steaks that were out of this world. I cannot thank Chris, Tatiana, and the entire staff at Zum Ochsenkopf, enough for their genuine warm hospitality. If you go to Austria look them up. You will not be disappointed. While we were in Wieselburg, we stayed at another great place called Landgasthof Barenwirt. We didn’t get to spend as much time at this inn as we would have liked to, but we were working 17 hour days at the festival, and were basically there for sleep and breakfast. It had so much character though, and they even opened their ballroom for us to do a show on Wednesday night Aug 3rd, when we got rained out from our outdoor show that was scheduled. I thank Erich and his staff for their special treatment and I sure hope we have the opportunity to stay there again. Getting around in Austria could not have been better. 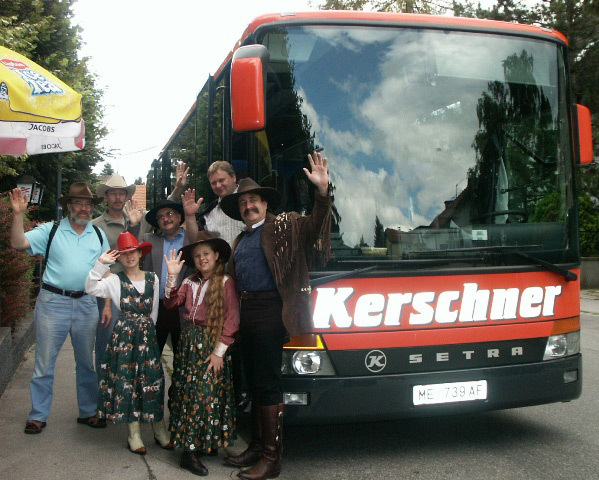 We had our own tour bus for the entertainers, and was driven and owned by Reinhardt Kerschner. It was absolutely amazing to watch Reinhardt whip that huge tour bus though the narrow and winding streets all over Austria. Having our own tour bus at our disposal just made the traveling so much more relaxed and it was great having the entertainers playing and practicing while we were on the road. The scenery, music, and Reinhardt’s great driving and knowledge, made for a memorable time. Cassandra & Calena got to pick the order for the bands competing in the European Country Music Awards and the dancers competing in the European Line Dance Awards. 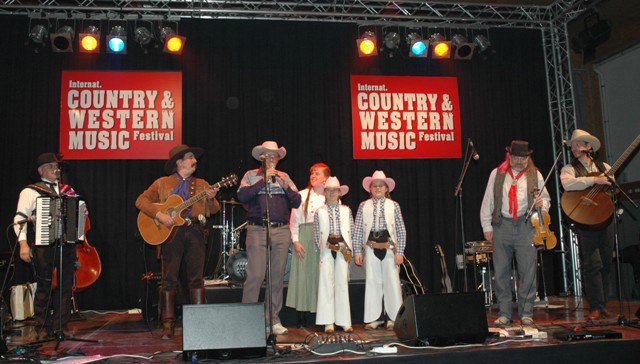 Friday 5th, with the festival in full force, started the competition for the European Country Music Awards. 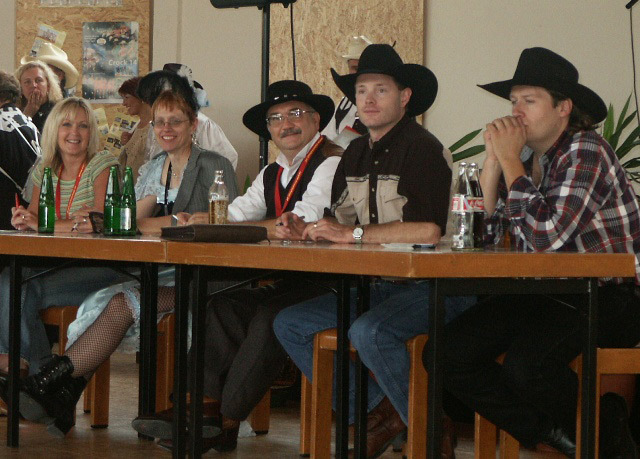 There was a panel of seven judges and I am proud to tell you that Pioneer Pepper and Dusty Cartride were asked to be on that prestige’s panel. We are now international judges! We judged all day Friday and Saturday. Now on Friday night we had the first concert at the Eurohall. All the entertainers did a fabulous job! The Daniel T Coates band from Germany started off the show, and then backed up all the solo entertainers as well. B J Talley (from Missouri), Steve “Bannister” MacDaniel (from Oklahoma), Sonny “Logger” Winberg (from Minnesota) , and The Hortons (from Missouri). What an incredible group of performers they were. It was said back stage that Walter Nevada must have done background checks on all of us to put together a group of performers that got along so well. The Daniel T Coates www.daniel-t-coates.com band was tireless throughout the festival performing their own music, and the backup music so professionally. Great job guys. Friday’s concert started at 7:30 pm and went to 12:30 am. 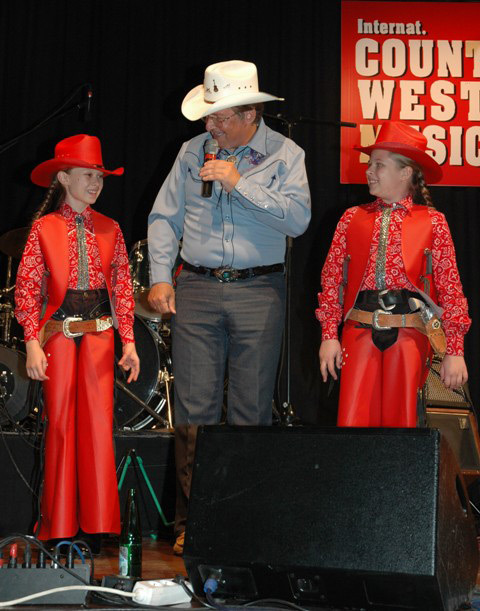 Saturday 6th came and Pioneer Pepper and Dusty Cartride went right back to the judged table for the final bands in the competition, and Doc Bellow and wife QuickDraw, were asked to be on the judge’s panel for the European Line Dance Awards. There was a panel of five judges and they had to judge on Saturday and Sunday. When Saturday night rolled around we geared up for another concert in the Eurohall. This went so well that it actually went to 1:30am! It was fantastic with once again all the entertainers rising to the occasion with phenomenal performances. Both Friday and Saturday’s concerts included a dance troupe Crock 14. They entertained the crowd in between each performers set with high energy dancing that was unbelievable. Their choreography was so tight and their costume changes unforgettable! Very exciting to see. The Sunset Pioneer received double encores and standing ovation at Friday and Saturday’s concerts. It was such an honor, and I am sure proud of The Sunset Pioneers; Doc Bellow, Dusty Cartride, Perfesser Rolland, Cassandra, and Calena, for their dedication, great performances, hard work and wonderful attitudes they had during the concerts. We started Sunday 7th off with a gospel concert and then ended the festival with a farewell concert. 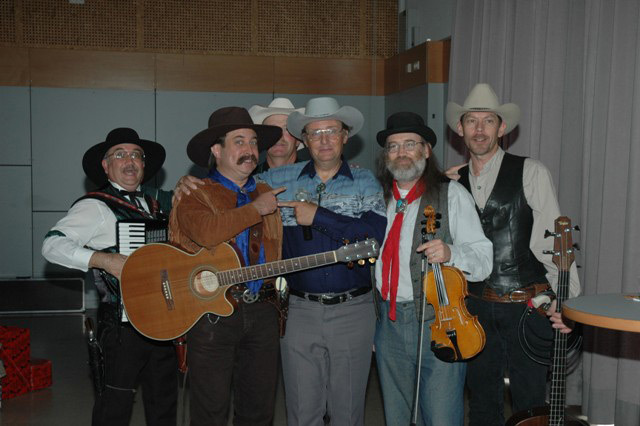 Both went beautiful and The Sunset Pioneers were asked to close the festival with “Happy Trails”. Walter Nevada brought up all the performers to sing with us and it made the festival’s end a special memory for each and every one of us. Well done! Monday 8th , Tuesday 9th ,and Wednesday 10th , we were treated to the sites of Vienna with Inge, Bridget, and Harold. I absolutely cannot thank them enough for their time, kindness and patience. They took us to see so much of the history and fun of the Vienna area that we were all amazed at what we saw. 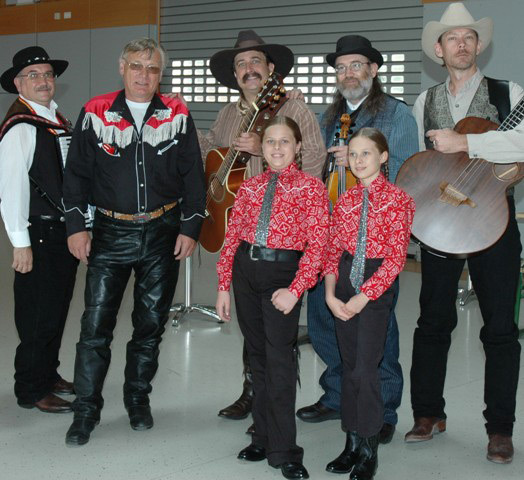 We got the opportunity to perform in St Stephan square with now our great friends B J Talley, Steve “Bannister” MacDaniel, and Sonny “Logger” Winberg. It was such a good time. B J and I bought some Cuban cigars and that was a tasty treat. Cassandra & Calena loved the ice cream and pastry shops. 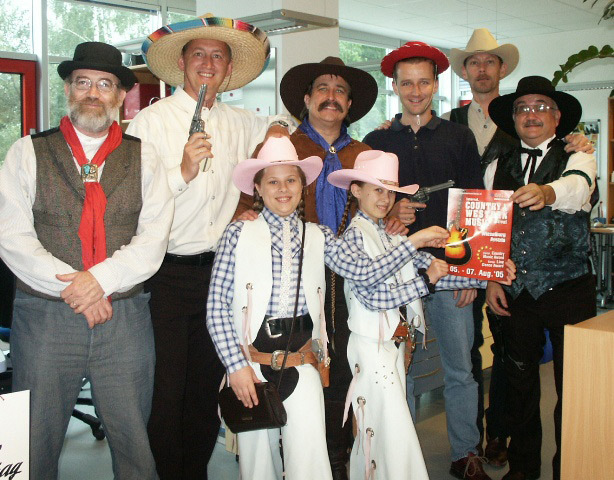 Actually we all enjoyed the shops, and sometimes I wasn’t sure who was enjoying the sweet shops more, Doc, Dusty, Perfesser, Tomahawk, QuickDraw or the girls. 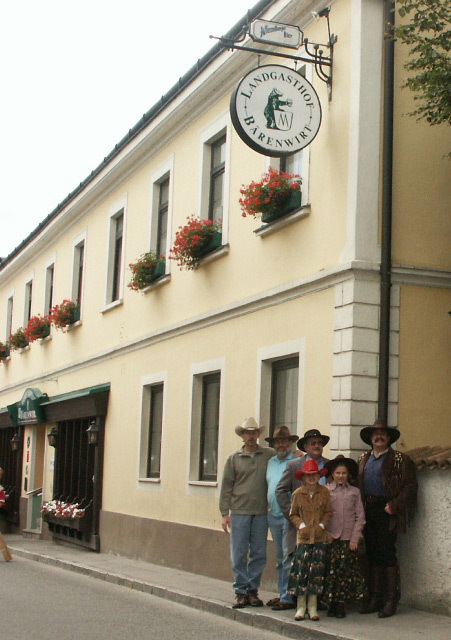 Wherever we went, we were able to sample Austria’s great beer, wine, and other unique liquors. It was a great experience for the ol’ taste buds. We ended our tour by a last performance at the Zum Ochsenkopf Hotel and then headed out at 3:00am on British Airways back home. We almost got delayed in London, as the food service and baggage handlers went on strike. We ended up being the last flight to Phoenix. We were all happy to return safely home with such a great tour and memory notched on our gun belts. I want to once again thank all of those who made this tour possible, especially my good friend “The Famous Cowboy Sheriff Walter Nevada”. I also want to once again thank The Sunset Pioneers; Doc Bellows, Dusty Cartride, Perfesser Rolland, Cassandra, Calena, Tomahawk, & Quickdraw, for their exceptional unselfish attitudes and hard work to make the tour and performances so successful. Thanks, all of you! We have been so blessed to have had this extraordinary experience. I hope we have the opportunity to return. 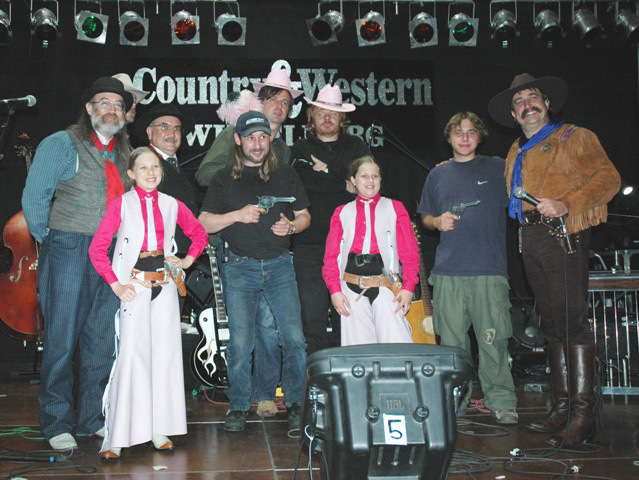 Thanks to some of our sponsors who outfitted The Sunset Pioneers for Austria Tour 2005. Cowboy Corral www.cowboycorral.com and J&V Western Designs. You are so special for your extra kindness. 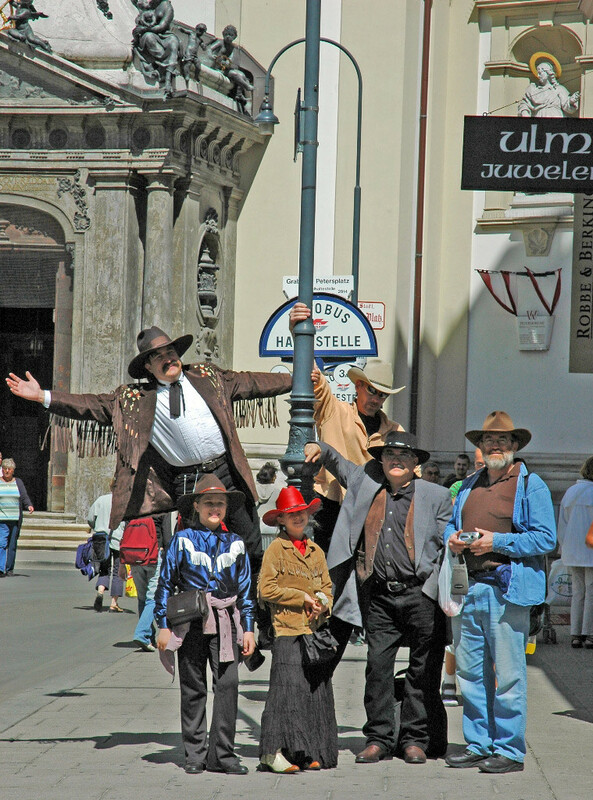 Make sure you check out our Austria Tour 2005 Photo Album to see lots of pictures. Click here! I have never seen a staff so attentive to the smallest detail to make the people that attended the festival feel special. I have to say that the treatment we received from each and every one of them was superb. Manager Dieter Grobner, of the Messe Wieselburg facility, who was our contact person, deserves special thanks for the long hours and always cheerful attitude. Now ladies, Dieter is an available bachelor and a great catch. Just thought I would let you know that.